Book your way to Burgundy! For every week-long group booking, you will be entered to win a complimentary week for two at Domaine de Cromey in France, including airfare! The Domaine de Cromey sits among the vines in a peaceful vale to the south of Beaune. Since the late 1600s, the locals have called it the ‘chateau,’ and there were indeed Lords of Cromey. But the property was always more a baronial farm than a residence. It was, in fact, the winery for these local lords, as the surrounding vineyards, vast vaulted cellars, and imposing wine press attest. Today, Cromey is a luxury manor house complex dedicated to the enjoyment of the food, the wine and the natural beauty of Burgundy. With six en-suite rooms in a compound around a courtyard within the acres of a walled park, the Domaine de Cromey offers modern comfort and quiet sophistication in a tranquil setting from a bygone time. 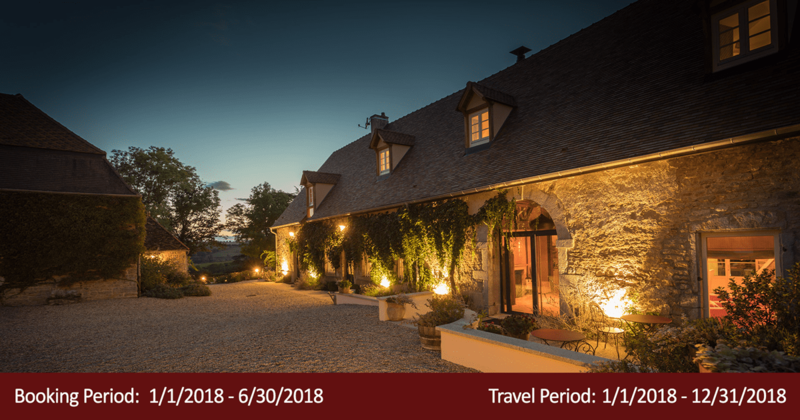 With over 30 years’ experience and a boundless passion for Burgundy, we bring our widely-renowned cuisine and local knowledge of small-production Burgundy wine to this remarkable unsullied setting. At Cromey, you feel Burgundy. You can taste it. The culture is honest and true. It’s what Cromey is all about: true Burgundy. We’ll open doors that tourists never find, take you into vineyards with the people who work them daily, and into cellars that are not open to just anyone. We’ll introduce you to families that we have known for two, and often three, generations, give you access to the Burgundy that we call home and garnish it all with the personal touches that take you beyond tourism and into real life. Cromey is the perfect spot for you to host that special occasion. Quiet sophistication. Cozy coddled comfort. Friendly, discreet and attentive staff. The best of Burgundy food and wine. All for you and you alone. Cromey is perfect for family trips, weddings, executive meetings, reunions, parties… Let us make your Burgundy experience elite! For every group booked for a minimum of one week, you will be entered to win a complimentary week for two at Domaine de Cromey, including airfare. Reservations must be made between Jan. 1 and June 30, 2018, for stays through Dec. 31, 2018. Price based on double-occupancy. Groups are considered 12 people. Prices are all-inclusive for food, beverage, tours, and amenities during the stay. Does not include airfare. Increased commission of 15% paid to within 30 days of departure to agents with qualified IATA #. The drawing for a complimentary week for two, including airfare, will be done in January 2019 for a trip in 2019. Dates based on availability. Offer based on availability and may be withdrawn at any time and without notice.